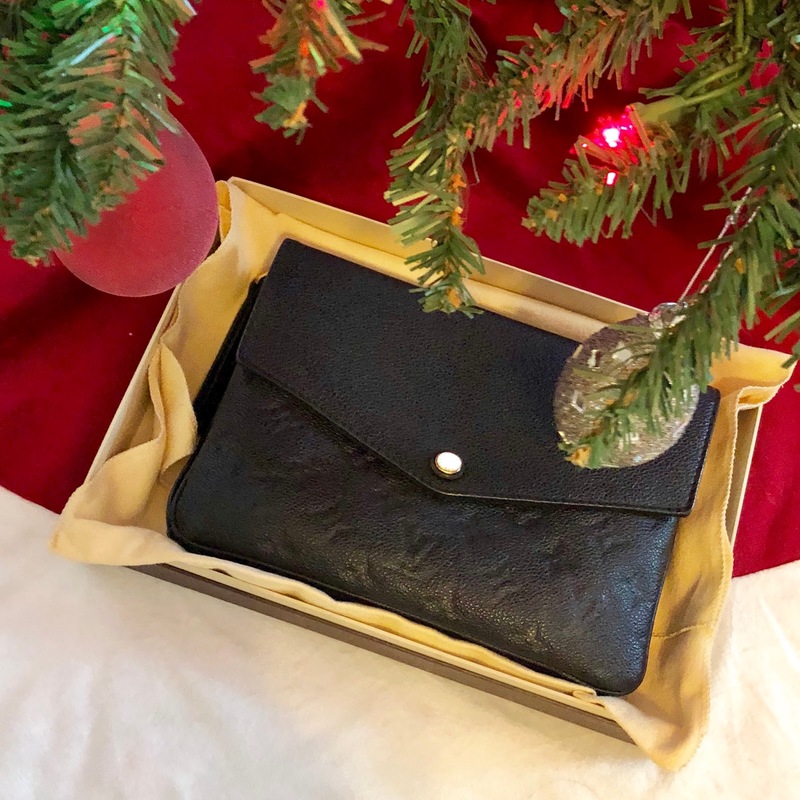 Now that the newness of the new year has worn off and we have finally gotten back into a normal routine again, I thought it would be a good time to post the process J went through to find and buy my pre-loved Louis Vuitton Twice for Christmas. Plus, I needed a break from my school work. I have always been a new bag kind of girl. There is nothing more exciting than being able to buy and walk out with a new luxury bag of your dreams. If you're a luxury handbag junkie like myself, you know that they never go on sale. Buying pre-loved is great for those who love luxury items but cannot afford to buy them new. Somebody else takes the depreciation hit and you get a fabulous new-to-you bag. Since we were on a tighter budget this Christmas, J and I agreed to focus on getting things for Nathan. With that in mind, I really didn't have anything I wanted or needed this year. Not getting me anything has never been J's style. So when in doubt he gets me bags. 😂😂😂 He remembered I really liked the Twice and he began searching for it back in October. Where to look for pre-loved goodies? By doing some Google searching, J found Tradesy and Fashionphile. After he wasn't ecstatic about Tradesy's return policy of only issuing Tradesy site credit as opposed to a full refund. What if I hated the bag? Then he saw some vloggers review Fashionphile and how they received items that were not as described on the site. He also looked at Yoogi's Closet but their selection was small. Over the past year, J has been selling off his vintage toy collection on Ebay and so for grins and giggles decided to search to see what was available on Ebay. He said he found several options and finally found one that met his perfectionist standards. How do you make sure you're not buying a fake? With so many very convincing fakes out there, J wanted to make sure the Twice was real. Even though he was buying through Ebay who had a 100% money back guarantee, he still wanted to verify authenticity through a third party. 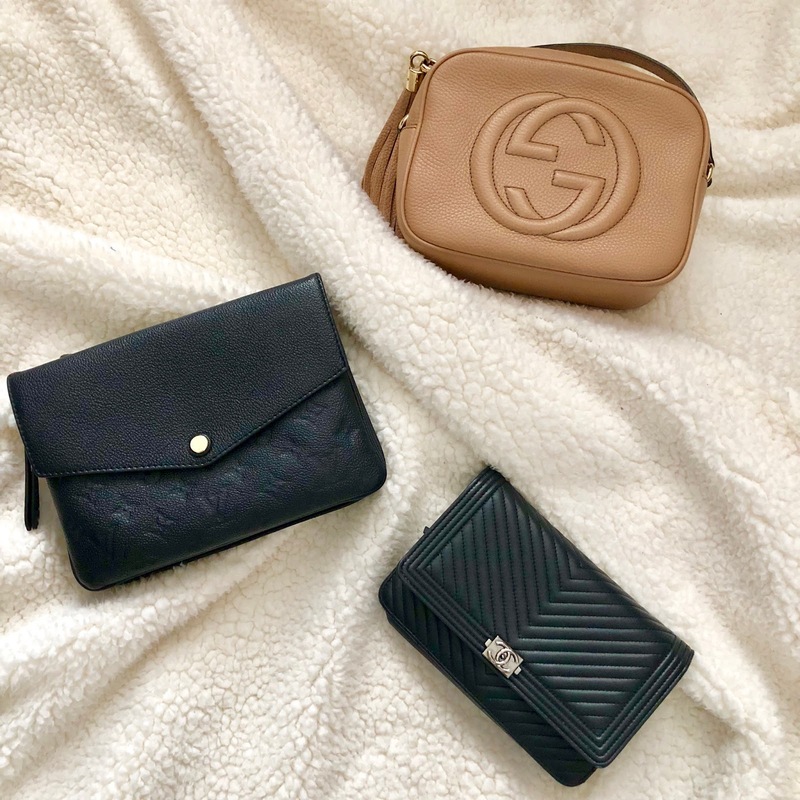 Unfortunately, most luxury bag stores will not authenticate pre-purchased products for you but luckily there are plenty of services that will authenticate purses for you through pictures or via mail-in service. J did a quick google search and found and used Authenticate First. He said the process was easy and inexpensive. He sent in photos of the bag and the date tag. Within days he received notification that the Twice was indeed authentic. Another authentication site that gets good reviews is Proauthenticators.com. Paying for multiple authentications at a time can get pricey. 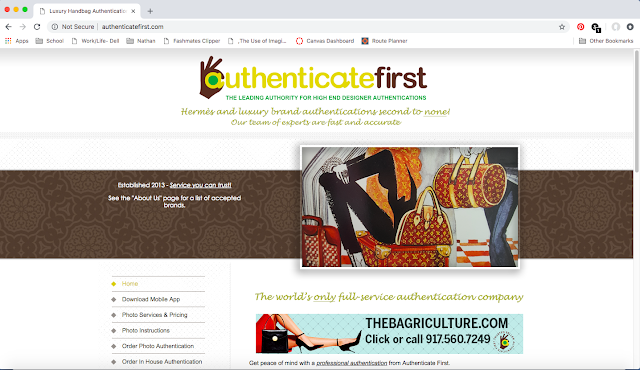 You can get items authenticated through the lovely authenticators on The Purse Forum (be sure to look over pictures needed for authentication) or join resale buy/sell/trade groups on Facebook. I had joined several just to see what pre-loved goodies people had to sell and the ladies on there are super helpful. Once J received the confirmation, he ordered the purse and put it under the tree for me. I totally wasn’t expecting a new purse. He’s a sneaky one. J was happy that I was happy. Except J, being the perfectionist he is, did find a small flaw on the purse that drove him crazy. It was something really little but it bugged him. 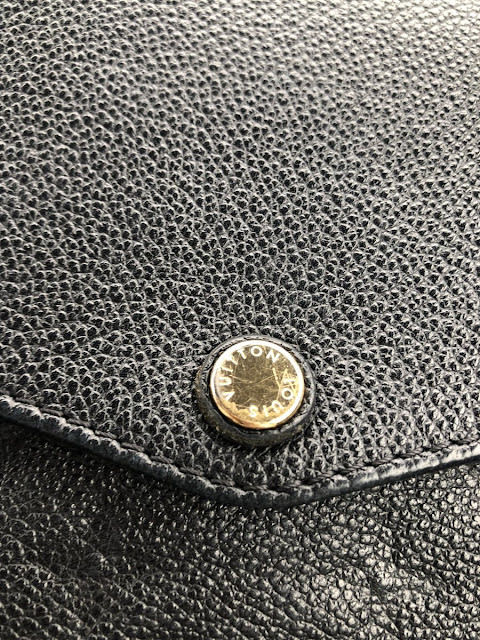 After I unwrapped the purse, he noticed that the button snap was all scratched up. The fact that the button was upside down kind of bugged me too. Sooooo...we dropped it off at the Louis Vuitton store this past weekend to have it replaced. Unfortunately, they said they can't fix the alignment of the button. Something about it not lining up with the snap(?). Oh well. I figured it was worth a try. Luckily the new snap button will be a cheap and easy fix that will have a big impact. I can't wait to get it back in a few weeks looking like new.